Keystone Resources was asked to create a new brand for Pine Place Development. 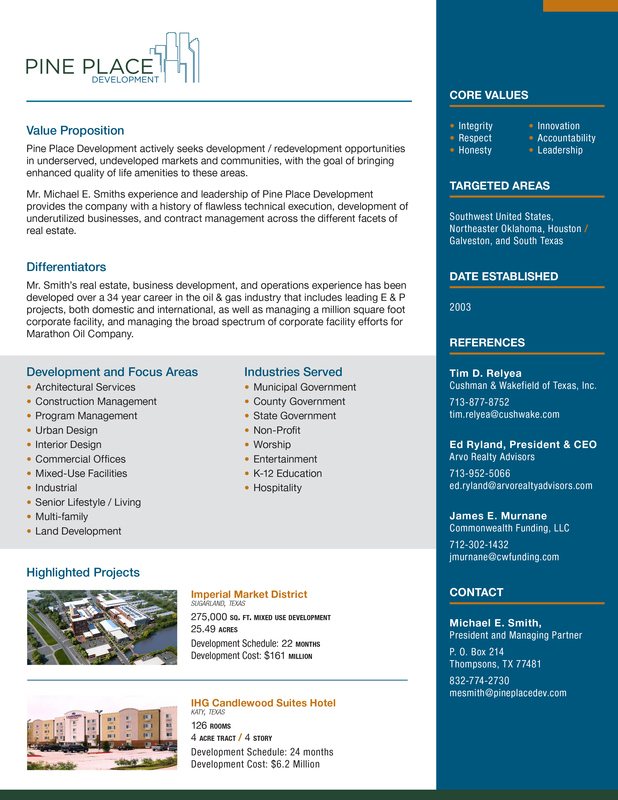 After creating the logo, I then took it’s design and created a capability statement for Pine Place. The statement won the client the ablility to turn in a proposal. I was then tasked to work with a team to design and help maintain the new brand standards for the proposal. As a result the client was rewarded the proposal. 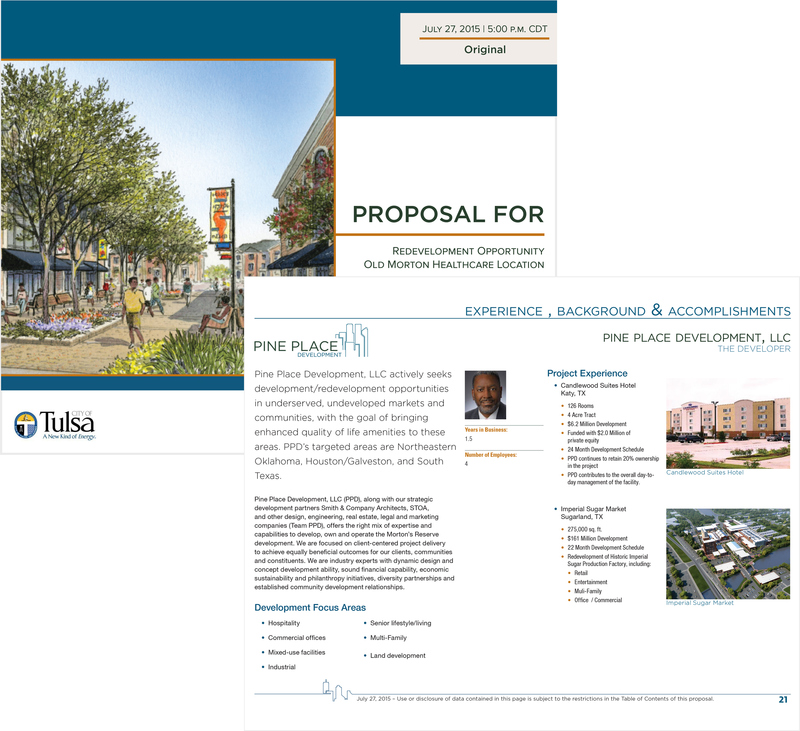 Keystone Resources was asked to create a new brand for Pine Place Development. 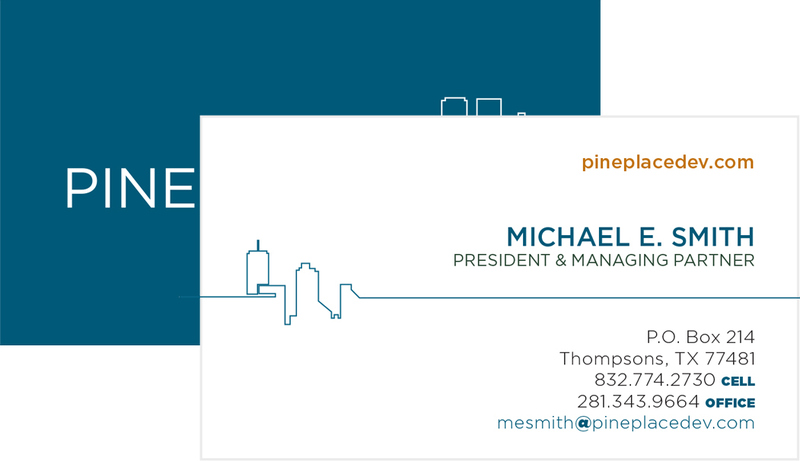 After creating the logo, I then took it’s design and created a capability statement for Pine Place. The statement won the client the ability to turn in a proposal. I was then tasked to work with a team to design and help maintain the new brand standards for the proposal. As a result the client was rewarded the proposal.